The AFROPUNK SOLUTION SESSIONS programming will be presented in collaboration with Red Bull Amaphiko from 12:00 to 17:00 on the 28th and 29th of December. Special guests for the 2018 conversations include: Two of the co-founders of the American based Black Lives Matter Global Network — artist and organizer Patrisse Cullors, and writer, organizer, public speaker Alicia Garza. Thami Kotlolo, founder of the Thami Dish Foundation that mentors and educates young LGBTI leaders, LGBTI Theater Activist and performer, Thokozani Ndaba. 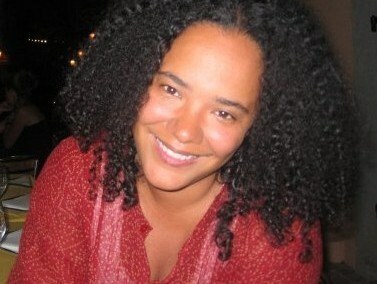 Filmmaker, writer and organizer from Detroit, Dream Hampton. Self-proclaimed mayor of South African street culture — entrepreneur, host, and content creator, Frypan. Youth activist, facilitator, and project manager for Africa Matters Initiative, Aluwani Ramarumo. Black Lives Matter has grown from a hashtag to one of the most influential social justice and resistance movements in the world today. BLMGN is partnering with AFROPUNK Joburg in celebration of the social justice organization’s Fifth Anniversary. The programming will also feature members of Red Bull Amaphiko Academy (https://amaphiko.redbull.com/en), a platform for social entrepreneurs, which promotes and uplifts people creating change in their communities, connects agents of change with one another, and shares inspiring stories about social change. Discussion topics will include youth resistance, radical self-care, male and female gender roles and communication, and LGBTQ+ cultural community conversations. Constitution Hill is a living museum that tells the story of South Africa’s journey from colonisation and apartheid to democracy. A former prison complex that was once defined by the gravest of human rights abuses, it is now the home of the highest court in South Africa, the Constitutional Court. Constitution Hill is the representation of our nation’s capacity for change, a change that can only be driven by the people. It carries the pulse of all South Africans – irrespective of age, colour, creed, gender or sexual orientation. “AFROPUNK is more than a music festival – it represents a fusion of cultures, languages and colours from all around the world. It is a transformative festival that reminds us that we all belong; that there is so much more that unites us than divides us. It provides the platform for expression of a shared vision – of a world free from racism, sexism, ableism, ageism, homophobia, fatphobia and hatred.” Says Roberston. A temperature check for male- and female-identifying individuals, discussing and confronting current issues and topics around gender roles and relations as they relate to community, equality, sexual violence, and forward movement. A community conversation exploring the current global state of Black and Brown socio-political issues and identifying clear solutions that have led to progress and what comes next. The LGBTQIA+ community in 32 African countries face criminalization and discrimination. This conversation will explore solutions on how we address young Africans learning to be more authentic in their identity while being ostracized by their communities and cultural traditions. Young activists and social entrepreneurs speak on highlights of global youth resistance and about living without labels. Meet social entrepreneurs from the Red Bull Amaphiko Academy –– a platform for social entrepreneurs, which promotes and uplifts people creating change in their communities, connects agents of change with one another, and shares inspiring stories about social change. A candid dialogue around mental health and self-care. In order to be creative, successful and liberated, you have to get your mind right. Mental wellness, wholeness and focus takes time, hard work and energy. We discuss the issues around mental illness in the Black community, the stigma around mental health, and how we can heal ourselves and our community, with mental health professionals, activists and advocates. AFROPUNK takes place annually in London, Paris, Brooklyn, Atlanta and, since 2017, Johannesburg. Launched in 2005, the festival revolves around an influential community of young people of all backgrounds, interested in music, art, film, lifestyle sports, fashion, photography and more. They are the influencers, creatives and tastemakers once seen as outsiders, but who now directly affect pop culture.